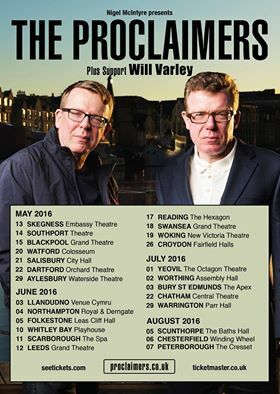 We can proudly announce that Will Varley be heading out on a 25 date tour across the UK as the main support for The Proclaimers. The wandering folk singer is having a great year, having recently sold out eight shows on his latest tour including his biggest headline show at the Scala in London. These string of shows spread across May, June, July, August and are not to be missed!